Happy Thanksgiving! 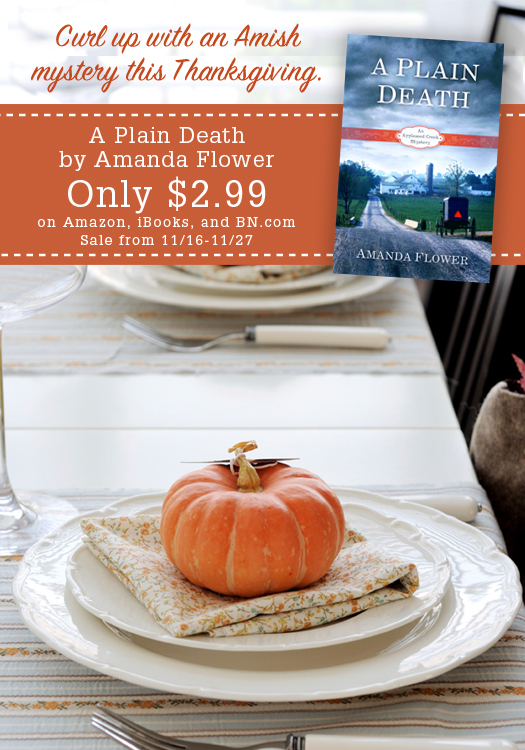 To celebrate this wonderful holiday, my publisher is running a special Ebook Sale of A Plain Death! The book is available from Amazon Kindle, BN.com Nook, and Apple iBooks for $2.99. The sale ends on November 27th, so act fast. I have so much to be thankful for this season, but one of the things I’m most grateful for is you, the readers. Without you, I wouldn’t have a career. Thank you from the bottom of my heart. I’m praying that you have health, happiness, and fellowship this Thanksgiving and Holiday Season.